Australia has a big and thriving media industry. From her movie stars to her television personalities, there isn’t a shortage of talented men and women who have made their name as members of the media and entertainment industry in the continent down under. 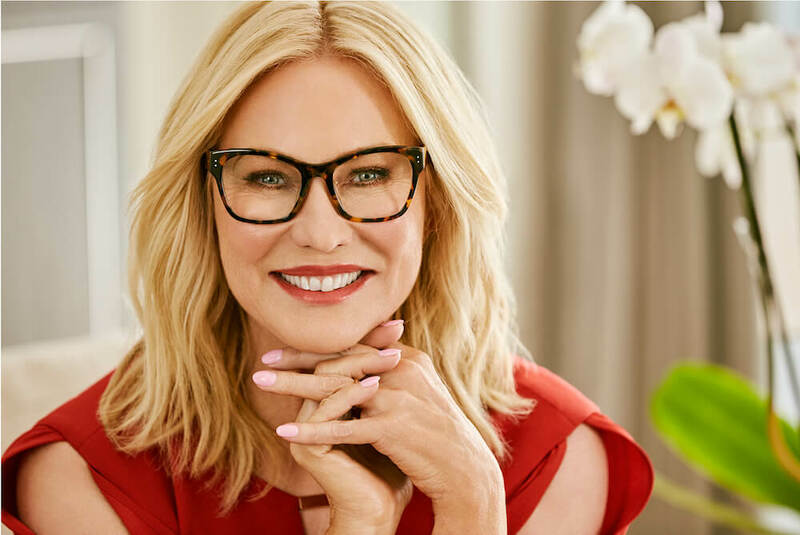 Not only is it thriving, but it is also one of the oldest and most developed media industries in the world, as proved by Kerri-Anne Kennerley who has over 50 years of experience in the Australian television industry. Her career has witnessed highs and lows – with more of the former – which has seen her get inducted into the Logie Hall of Fame for her accomplishments in the industry. Who is Kerri-Anne Kennerley? Learn more below. If Kerri-Anne was ever supposed to be anything else other than a media personality, the chance to be that was lost at the age of 14, when she appeared on television for the first time on a children’s show, The Channel Niners and Everybody’s In. It was the experience that solidified her interest in the media and entertainment industry. Up until then, Kerri-Anne Kennerley was just a random daughter of a builder and hobby farmer who was born on the 22nd of September 1953 with no information about her mother. She grew up among three siblings in Sandgate, a small suburb of Brisbane in Australia. Regarding her education, there is no information about that either. However, in her youth days, she spent some time in the United States, returning to her home country Australia in 1981 at the age of 28. One could safely assume that her education prepared her for a career in the media industry because her return to Australia kick-started her career in the entertainment industry. In 1981, Kerri-Anne appeared in a television show, The Restless Years as Melinda Burgess. The appearance was one of the early projects that Kerri-Anne Kennerley featured in at the beginning of her career, especially in the 80s. She was also a singer, releasing the album titled ‘Kerri-Anne’ and another, a Christmas album in 1985. It was the diversified expression of talents at such an early point of her career that later made her the host of Good Morning Australia, a breakfast TV show for 11 years on Network 10. Kerri-Anne Kennerly, among her most notable career accomplishment as host of Good Morning Australia, has also been the host of Midday, a variety show. She was at the helm of the show from 1996 to 1998 and in that time, she earned three Gold Logie nominations for her work on the show. When the 2000s came around, Kerri-Anne Kennerley’s network allegiance shifted to Channel Ten where she hosted shows like Greed and Moment of Truth, but her time at Channel Ten would not last and in 2002, she made her return on the Nine Network where she hosted her eponymously show, Kerri-Anne. The show lasted for nine years, ending in 2011. The end of the show resulted in another shift for Kerri-Anne who moved to the Seven Network in 2012, appearing on Dancing with the Stars, a program run by the network. Kerri-Anne Kennerley’s professional life suffered a temporary pause when it was announced she was battling breast cancer. The health challenge placed a pause on her contractual agreement with Seven Network where she was due to host her own show. Instead, she acted as a fill-in presenter and as a guest reporter on two of the network’s shows. At the completion of her treatment and return to full-time duty, Kerri-Anne made her return on Behind Mansion Walls on the Crime & Investigation Network. She became a co-host for Studio 10, a morning talk show on Network 10. In recognition of all her accomplishments in her career, Kerri-Anne has a star on the Caloundra Walk of Stars which was given to her in 1988. She is also an inductee of the Logie Hall of Fame and featured in Australia Post’s postage stamps for television legends. She not only returned from the US with the experience and knowledge to become a television star, but she also returned with a husband, having married Jimmy Miller, a record producer while she was in America. The marriage, however, was a bad experience for Kerri-Anne as she was constantly abused. With the help of John Kennerly, a friend, she left the marriage and she eventually got married to John in 1984. Although she does not have children of her own, she is the stepmother to two children from Kennerly’s previous marriage. While a cursory look at Kerri-Anne shows she is a beautiful woman with an amazing body, thriving despite the years of abuse from her first husband, details about her body statistics are currently unknown. She was born Kerri-Anne Wright. The Australian media personality once had a miscarriage in 1991. Kerri-Anne Kennerley currently lives in two cities – Sydney and New South Wales.